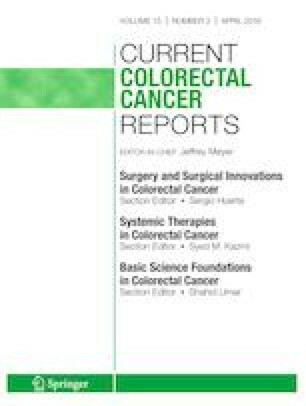 The following review is to assess the current methods, both non-invasive and invasive, in colorectal cancer screening and discuss novel screening techniques. Colorectal cancer continues to affect millions of people across the world. Through increased and widespread adoption of various screening methods, the rates of colon cancer-related deaths are decreasing. However, this decline has not been observed worldwide, possibly due to the lack of widespread screening adoption. Although there are many methods for screening colorectal cancer, colonoscopy remains the gold standard, due to high sensitivity and specificity as well as the ability to immediately sample or remove concerning tissue. Blood-based molecular testing is the most recent advancement in colorectal cancer screening; however, it has a significantly lower sensitivity and specificity when compared to other methods. However, with continued investigation, blood-based molecular testing may change how we screen for colorectal cancer in the near future. Several options for colorectal cancer screening exist today. Colorectal cancer screening methods and techniques have improved over the last several decades. These improvements have helped to decrease the rates of colorectal cancer-related deaths, most notably in the USA. Various organizations have provided a list of recommendations and suggested screening agendas, which will be reviewed in this discussion. •• Check-CapAbbounces FDA Conditional Approval of IDE to Initiate U.S. Pilot Study of C-Scan. 2018 1/4/2019]; Available from: http://ir.check-cap.com/2018-12-13-Check-Cap-Announces-FDA-Conditional-Approval-of-IDE-to-Initiate-U-S-Pilot-Study-of-C-Scan-R Exciting news announcing the initiation of a pilot study regarding preparation-free capsule-based colorectal cancer screening. Outsense Toilet IOT Sensor. 1/4/2019]; Available from: https://outsense.co.il/.